My favorite college professor wasn't a "real" professor at all. 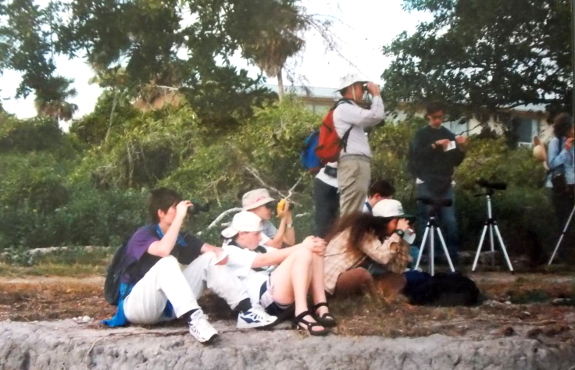 The "real" professor was her husband Tim, who taught ornithology and animal behavior. But Tim and Janet were true partners, which I suspect is why she opted to accept a job as assistant professor (if I've got my terminology correct) at the same college where her husband taught. 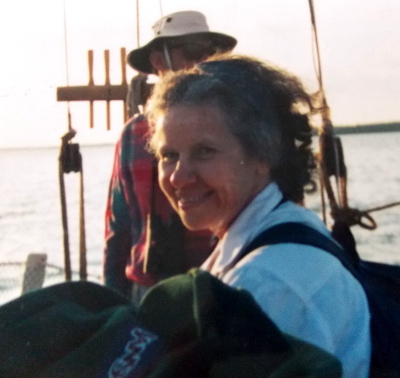 Or perhaps Janet was just the smartest person I knew, who managed to create a job doing exactly the things she loved --- leading field trips and looking at birds --- within no administration to sully the mix. I liked birds, but I loved Janet. She was exuberant and inquisitive, and she felt the same awe toward the natural world that I did. Janet was just as mature anyone else, but she was also unabashedly childlike. I remember walking through the upstairs of her house one day and seeing stuffed animals arranged across her bedspread, which Janet told me she set out every day despite her children being grown and gone. The task made her happy, and that was purpose enough. Janet wore peasant blouses and skirts and she loved to dance. She and Tim attended folk dance classes with the students, where we all enjoyed taking part in her favorite dance --- Levi Jackson's Rag. And like me, Janet couldn't stop smiling because life was just so much fun. Janet was the only college professor who I considered to be a true friend. During my student days, I'd drop by her office and watch enviously as she mixed homemade granola with yogurt and a cut-up apple for lunch, and we'd talk about our lives. Janet once told me that she didn't feel any different than she had when she was my age, and, years later, I finally understand what she meant. Looking back at the few snapshots I have from my college days, I'm surprised to see that I looked so young since I still feel so similar to that girl who loved to track down the source of a scent in the woods and who followed Janet across the creek one spring morning in hopes of capturing a deciduous magnolia in bloom. Janet challenged me, but in such a gentle way that I didn't realize I was being helped to grow until I'd already filled the shoes she always assumed I could fit into. Janet aided me by writing letters of recommendation, but more importantly, she told me that of course I could remember how to ride a bike despite not having been on wheels in nearly a decade, of course I could lead bird walks as her T.A., and of course I could spend a year exploring foreign countries on my own. And she was always right. Janet and her husband eventually "graduated" and moved to their home in New Hampshire, where they had spent their non-college years (and summers). I visited the college only once after Janet left, and couldn't talk myself into going back thereafter --- the beautiful campus simply felt empty without my favorite professor to drop in on. And, last week, the whole world became a little emptier when Janet passed away. She had been sick for some time, and near the end, her son sent out an email to all of her family and friends to alert us of the situation. He said that Janet was too weak to visit with us in person, but that she loved receiving emails, and that she especially loved seeing photos and hearing about what was happening in our own lives. And that was Janet to a T --- even at the bitter end, she wanted to hear about our lives rather than to talk about her own. Chickadees make a single high-pitched call that Janet was always able to identify because I could hear it and she could not. 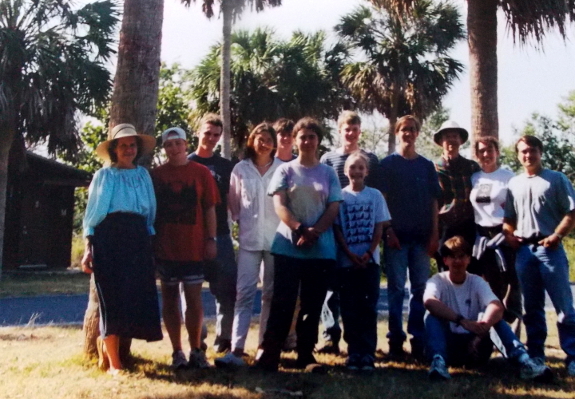 But my teacher never bemoaned her failing hearing and instead simply reveled in walking through the woods and catching a wood duck perched on a slanted tree. And, in true Janet fashion, I choose not to mourn her passing, and instead to let birds remind me of the one professor who changed my life. She was very much real, and she will be missed. Sorry. I felt like I knew her from all I heard from you. I'm sorry for your loss. It sounds like she's left quite a legacy! A beautiful memorial. Thank you for sharing the impact she had on your life. May she rest in peace. Thank you for this beautiful tribute to Janet. She was a truly amazing person who made the lives of all she touched much richer and vibrant. I learned so much from her over the years. She is greatly missed.